Texas residents can obtain a CNA license in as little as three weeks. With lots of free and low-cost training opportunities, it’s the perfect time to get trained and start making money. According to Salary.com, Texas nurse aides can earn an average of $30,683 annually. Apart from completing a state-approved nurse aide program, there are no other federal or state imposed educational requirements. 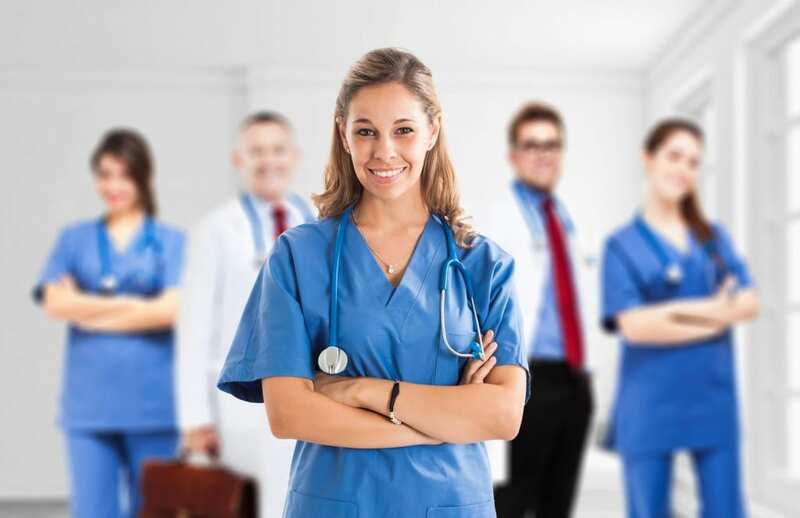 Upon completion of the nurse aide training, you must successfully complete the state exam and get listed on the Texas Nurse Aide Registry before you take up your position as a Texas CNA. The state-approved programs listed below all meet the mandated 75 hours of training. The nurse assistant program at Dallas Career Institute prepares students for entry-level employment in a long-term care facility, hospital, or other health care setting. Before enrolling in DCI’s nurse aide program, you must pass a drug test and provide the results of a criminal background check and proof of a minimum eight-grade education. The curriculum covers basic patient care principles, nutrition, emergency response, patient rights and other skills necessary to pass the exam and succeed at an entry-level position. Students clock 60 hours in the classroom and 40 hours of supervised clinical training at a nearby medical facility. Morning, afternoon, and evening sessions are available. Classes meet Mondays, Wednesdays, and Fridays. Clinical training days are Saturdays and Sundays. A new class begins the first Monday of every month and runs for 4 weeks. Tuition costs $550 and includes uniforms and books. A payment plan is available and requires a $200 deposit at registration. Students must budget additional funds for CPR certification, state testing, and TB and Hepatitis B clearance. Upon completion of Mountain View’s CNA program, graduates can provide basic care to patients, observe and report problems, provide safety and preventative measures, work effectively as part of the healthcare team, and support and promote patients’ rights. Best of all, they are eligible to sit the state CNA exam and get listed on the Nurse Registry. The 100-hour class has two segments: 60 hours in the classroom and 40 hours of clinical training at a community nursing home. Applicants must provide proof of required vaccinations, results of criminal and urine drug test, a money order for the state exam fee, and supplies such as uniform and textbooks. Tuition costs a total of $750 for both segments. Class times vary so request a copy of MVC’s Continuing Education schedule using the contact information provided below. Since this is a workforce-approved training course, Texas Public Educational Grant (T.P.E.G.) funds are available for financially challenged residents. The comprehensive Nurse Aide program at Texas Career Institute equips students with the skills to communicate with and care for residents in long-term care institutions. Coursework encompasses several areas including vital signs, CPR, safety, first aid, patient transfer, nutrition, body mechanics and much more. The program emphasizes the skills required to pass the Texas Nurse Aide Certification and succeed on the job. Government assisted and private loans are available for those who qualify. The center for Allied Health and Nursing at El Centro College spearheads the preparatory course for aspiring nursing aides. Topics covered in the 100-hour course include resident’s rights, safety, communication, observation, reporting and fundamental patient care. Students also learn communication skills for effective communication with residents and members of the healthcare team. Students who do not have CPR certification must complete this training. Upon completion, students are eligible to take the state exam for Nurse Aide Certification. Applicants must attend an information session, submit WorkKeys scores, provide valid government-issued identification, possess current CPR certification, provide proof of immunization (TB screening, MMR, TDaP, Varicella, and Hepatitis B), and sign the student responsibility form. Tuition costs $942.13 and includes training materials, background check, liability insurance, immunizations and state exam fee. B&M Career Institute provides high-quality training to prepare students for the state certification exam. The cutting edge certification program includes training in the classroom, skills, lab and a supervised clinical experience at a long-term care facility. Areas of study include vital signs, infection control, communication and interpersonal relationships, rehabilitative techniques, role and responsibility of a nurse aide, law and ethics, patient rights and independence, and much more. Graduates will receive a certificate of completion and are eligible to take the state certification administered at B&M’s state-approved testing facility. The Nurse Aide program at Vinepress Training Center is a comprehensive course that gives students the skills and abilities to provide basic care to patients or residents in health care facilities. Graduates will be able to communicate effectively with patients and their families, provide personal care, use infection control measures and respect patients’ rights. Areas of study include body mechanics, transferring patients, the role and responsibility of a nurse assistant, personal care, and nutrition and feeding. Students who successfully complete the program will be eligible to take the state certification exam for nurse assistants. Applicants must complete an application for admission, be at least 18 years of age, provide proof of secondary education or pass the Wonderlic Basic Skills Test, and undergo NAR verification. New classes begin on the first Monday of every month. Tuition for the program is $550. Brookhaven College offers the Nurse Aide Certification through their Workforce and Continuing Education Division. Students must undergo a background check and drug screening before proceeding to the clinical aspect of the course. Students must also complete Basic Cardiac Life Support and get three doses of Hepatitis B vaccination before registering for the course. The nurse aide course content is spread over 100 hours of instruction: 60 hours for lectures and 40 hours for clinical training. Tuition costs $699, but financial aid, covered by the Texas Public Education Grants (TPEGs), is available for those who qualify. Tuition does not include costs for textbooks, state exam, or liability insurance. Other providers offering state-approved nurse assistant training in Dallas, TX.